Join the Andersonville 20/20 Challenge Reviewed by Edgeville Buzz on June 27, 2009 . The Andersonville Chamber of Commerce is running a “20/20 Challenge” to ecourage the community to spend locally at Andersonville’s unique and independent businesses. 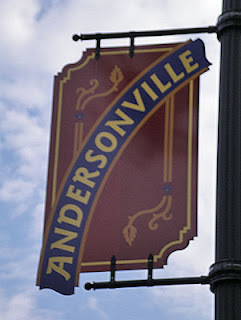 The Challenge asks people to commit to spending 20 bucks each week for 20 weeks in Andersonville and report how they’re spending that $20 (or more) on the Chamber’s Smorgasblog.